The National Institute for Astrophysics (INAF http://www.inaf.it) is the leading Italian Research Institute for the Study of the Universe: it leads 19 institutes in the Italian territory and one national facility (Telescopio Nazionale Galileo) in La Palma (Roque de los Muchachos). As a national institute, INAF promotes, develops and coordinates, as part of EU programs and international organizations, research activities in the fields of astronomy and astrophysics, in collaboration with Universities and with other public and private entities, national and international. INAF projects and develops innovative technologies and advanced instrumentation for the study and exploration of the cosmos. Moreover, it promotes the dissemination of scientific culture through educational and outreach projects for School and Society. 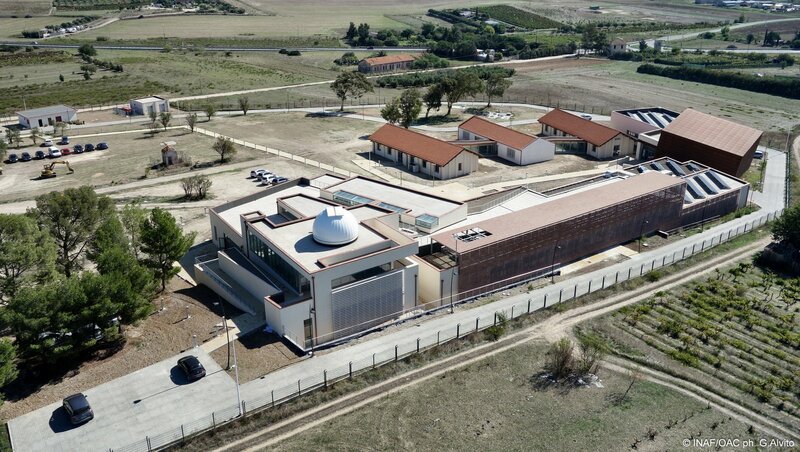 The INAF – Osservatorio Astronomico di Cagliari (INAF-OAC http://www.oa-cagliari.inaf.it) is one of the 19 Institutes of INAF in Italy, established in Sardinia, one of the two major Italian islands. Founded in 1899 in the small St. Peter Island, the new INAF-OAC headquarters are now in the municipality of Selargius, near Cagliari (Sardinia’s capital), very close to the Cagliari University. INAF-OAC counts about 40 permanent employees (staff researchers, technologists, administrative, technicians), and about 20 temporary ones (graduate students, PhD students, post-Docs,…). Several internationally relevant research activities are carried out in INAF-OAC, both on astrophysics (pulsars and compact objects, supernovae, astrochemistry and astrobiology, exoplanets atmosphere modeling and characterization, extragalactic radio astronomy, extragalactic magnetic fields, galaxies clusters) and on technology (software engineering, microwaves receivers, atmosphere analysis, metrology, RFI monitoring, time and frequency). 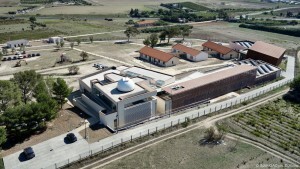 INAF-OAC, together with the Institute for Radio Astronomy of Bologna (INAF-IRA http://www.ira.inaf.it), manages the Sardinia Radio Telescope [http://www.srt.inaf.it], a state of the art radio telescope with a 64m aperture, currently in advanced commissioning phase. SRT sports an entirely active primary mirror, enabling it to operate very efficiently all the way up to frequencies of about 100 GHz. The astrochemistry group at INAF-OAC [http://www.oa-cagliari.inaf.it/page.php?id_page=15&level=2], in collaboration with the group of C. Joblin at CNRS-IRAP in Toulouse, created and maintains the Theoretical Spectral Database of Polycyclic Aromatic Hydrocarbons [http://astrochemistry.oa-cagliari.inaf.it/database/], which was part of the VAMDC distributed e-infrastructure from the beginning.